After a strenuous walk or a challenging day on the slopes, end your day on the Kronplatz with some peace and harmony. Our spa area is open daily from 4pm to 7pm. In the design of our spa area, we attached particular importance to using natural materials. Natural stone from the region and timber from our own woods create a very special atmosphere in our spa area. Soothing music and gentle fragrances enhance your feeling of well-being. The natural scent of Swiss stone pine plays a special role here – whether in the Finnish sauna infusions or in the steam room. The essential oils in Swiss stone pine ease your muscles and help you relax; at the same time, they strengthen your immune system. In the Finnish sauna, which is made of spruce wood, the temperature is set to 90°C with low humidity. 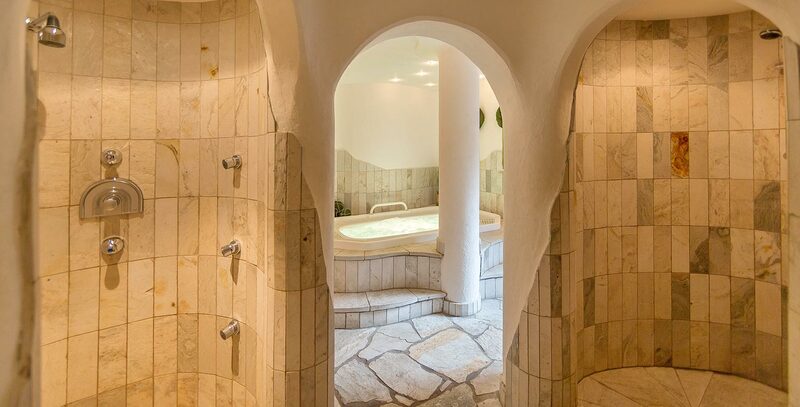 The “Löyly” steam, created by tipping water and essential oils over the hot sauna stones, has a soothing effect on your skin and respiratory system. Guests love our fragrant steam room for its pleasantly soothing temperature of 45°C. 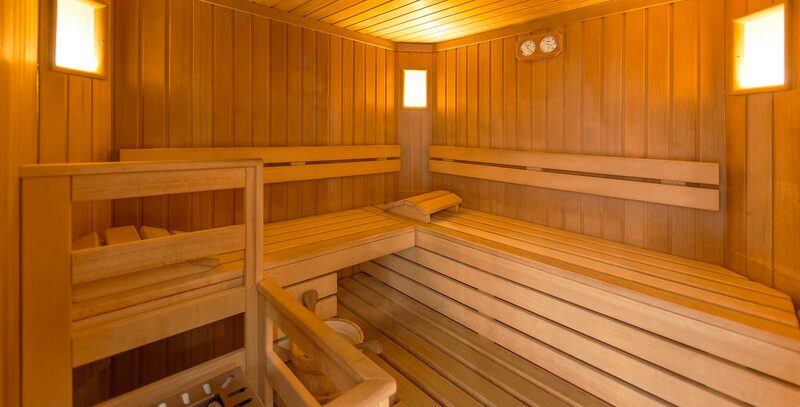 A session in the steam room does wonders for your circulatory system! It also has a detoxifying effect, whilst the fragrances regenerate your respiratory tract. 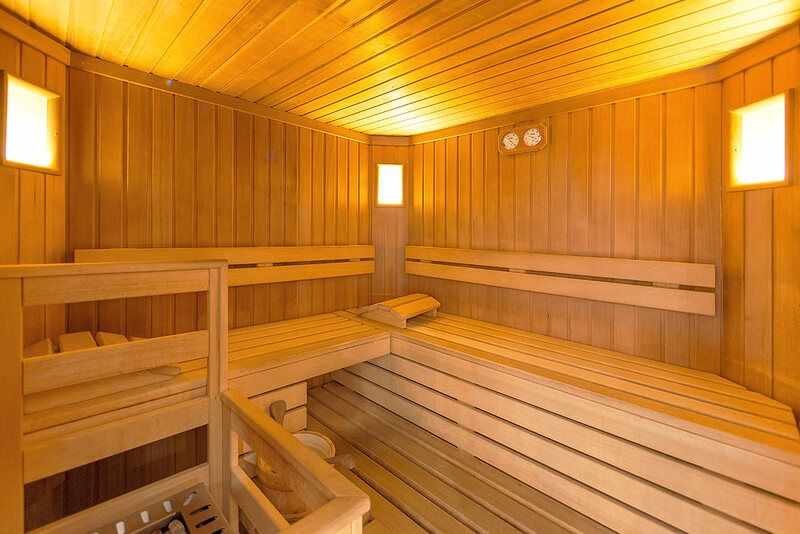 After each sauna session, treat yourself to a long rest in the quiet room, and allow your thoughts to wander freely. 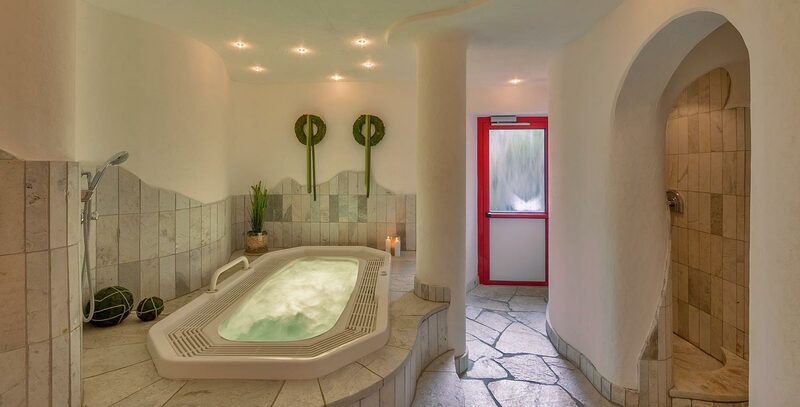 For the full spa experience, treat yourself to a massage in our whirlpool (subject to a charge). 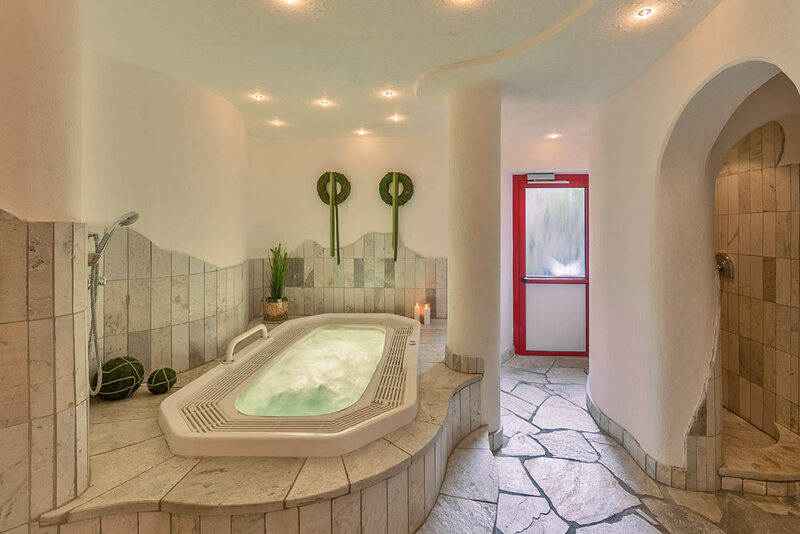 In the whirlpool, which is filled with fresh water for each successive guest, you can enjoy a warm and soothing back massage to help you relax physically and mentally. If you want a tan in winter, why not try our full body solarium, where the sun shines all year round – and where you can enjoy the caress of soothing warmth, even on the coldest winter days!